0.1.8 Rope Rescue Training, a photo by The Bacher Family on Flickr. 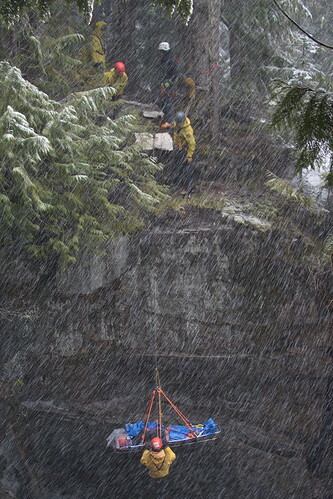 An oldie but a goodie: Rope Rescue Training at Mount Rainier National Park, in the canyon above Christine Falls, on May 4, 2012. Yes, that's snow falling!